In a recent Townfolio blog post, we took some time to discuss the importance of using software to help organize the sales aspect of the economic developer’s daily routine. Specifically, we focused on the use of CRMs (Customer Relationship Management) to take sales organization, and communication with your leads and prospects, to the next level. Speaking of organization, it’s equally important to take the time to organize your internal team’s communications. After all, what’s the point in “making rain” for your community, if your own organization doesn’t have the ability to deliver or follow through on promises made in the sales process? Maybe it’s inter-office messaging that helps keep your team in the loop whenever and however needed. Or, perhaps it’s cloud-based document libraries that ensure you and your team always have access to that crucial spreadsheet. Regardless, internet-based technology has been making internal communications better, faster, and more efficient for a while, and if your office hasn’t already joined the wagon, it’s time to jump on. Thankfully, there are a number of technology-based tools already available to help streamline your internal communications. At Townfolio, we use a number of them and we’d like to explain the value of a few of our favourite platforms below (you might be noticing a theme here…). We use Slack every single day at Townfolio. It’s not hyperbole to say it’s an integral part of our daily operations, and we’re far from alone in saying that. Need proof? 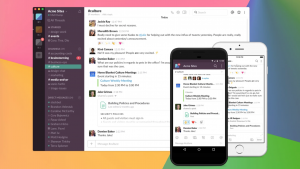 Slack has 9 million weekly users, 70,000 paid teams (and there’s a free version as well! ), and 43% of Fortune 100 companies use Slack. Yeah, we think those are compelling numbers too. G-Suite makes working together as a team, so much easier. You can use shared calendars to see when others are available and schedule meetings with automatic email invites. With one click, you can turn your meeting into a video conference from any camera-enabled computer, phone, or tablet. And you can even share your screen to review your work as a team, and make decisions on the spot. You can also easily work on documents, spreadsheets, and slides across your devices, with or without internet, and work in a single document with teammates or people outside your company. Lastly, all of your work is stored in one place (the Cloud) with secure access from your computer, phone, or tablet. And of course, file updates are automatically saved and stored in Drive, so everyone can always have access to the latest version. 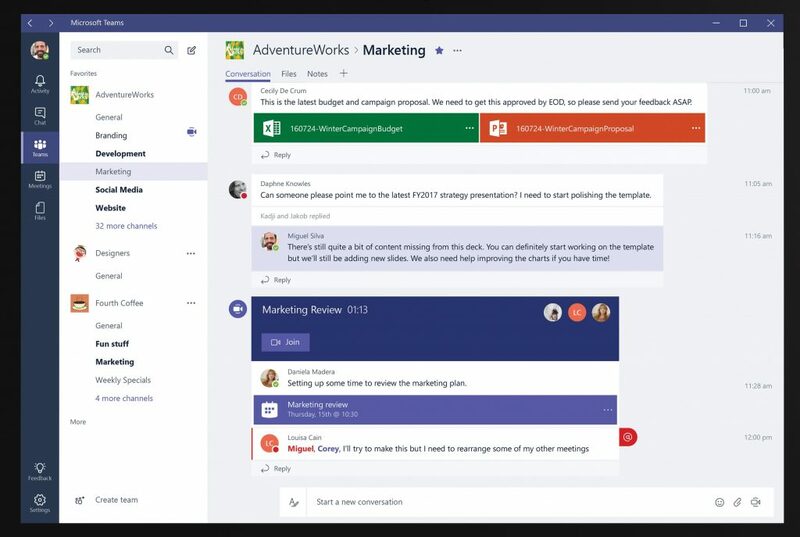 As the name suggests, Microsoft Teams is a tool built for busy teams. If your organization is already operating on Microsoft/Outlook, this tool may be a better fit than G-Suite. Microsoft Teams is a one-stop shop for all of your project/collaboration needs. 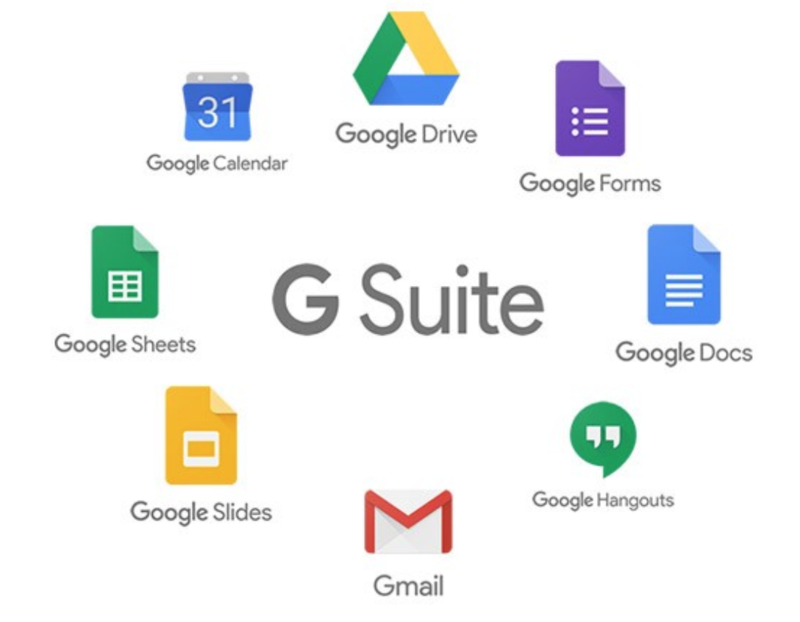 Similar to G-Suite, anyone with an account can add a Microsoft Word document, an Excel spreadsheet, PDFs, and others. Importantly, all of these functions are accessible without having to buy separate Microsoft Office tools. One of our favorite aspects of Microsoft Teams is the ability to segment people/files/chat rooms into separate categories. Here’s an example: I can manage Team A as they work on attracting a site selector, while also watching over Team B as they help settle in a new restaurant chain moving into the community. These two teams are performing separate tasks but it’s possible to oversee all activity from one place. Speaking of taking your economic development strategies to the next level, Townfolio has developed tools to help improve the communication and presentation of your community to potential leads and investors. If you’d like to learn more about our offerings, check out our Platform Features. You can set up a quick demo with me, and I’ll be happy to answer any and all questions you might have. Or, if you’d prefer to email – you can reach me at shawn@jointownfolio.com.